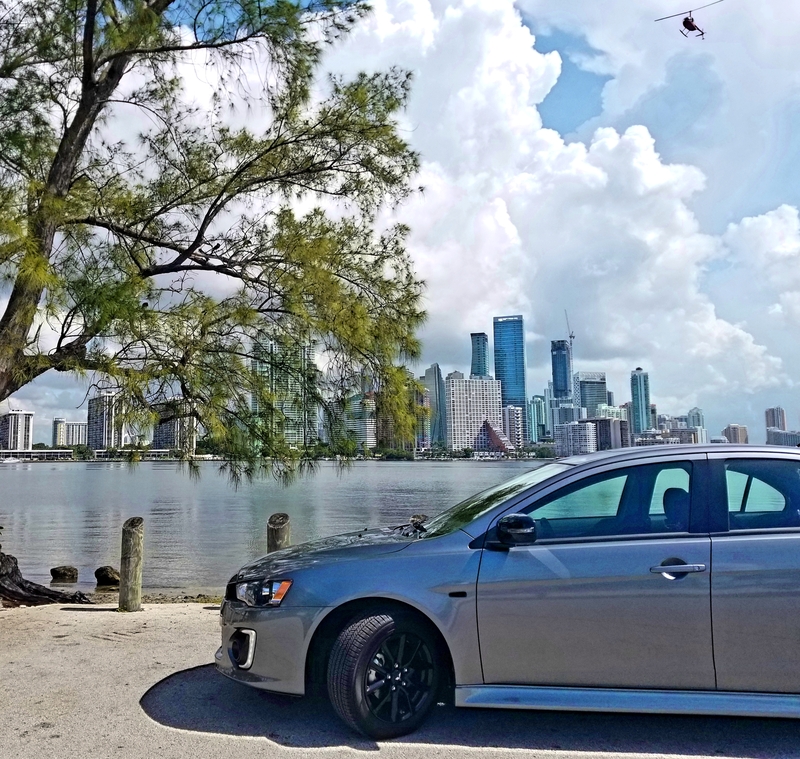 Interior features add to the city lifestyle in Miami, which include aluminum pedals, black headliner and pillars, gloss black finishing and a 6.5” Display Audio System (DAS) with Smartphone Link for Apple CarPlay™ and Android Auto™. The pricing is affordable. The limited edition Lancer is price at MSRP of $19,795. Limited Edition trim is available in all Lancer exterior colors, the interior receives a custom design with black fabric and red stitching on the steering wheel, shift knob, brake lever, armrest and door trim exclusive to the LE trim. Limited edition exterior features include bold new black painted exterior finishes on its 16” wheels, roof, upper front grille garnish, fender garnish and door mirrors. The car is compact, yet has enough space for families to fit a child’s seat and large stroller in the trunk. 2017 marks the 100th year of Mitsubishi producing cars. It’s no wonder the Lancer LE is equipped to be a competitive car for Miami drivers.